TORONTO, ON, Nov. 1, 2016 – Celebrating 32 years on Nov. 30 to Dec. 1, 2016, IIDEXCanada, proudly co-presented with Interior Designers of Canada and the Royal Architectural Institute of Canada, returns to the Metro Toronto Convention Centre, North building to host critical conversations on trends and issues affecting the communities that make up the built environment. IIDEXCanada 2016, with its partners: Altro; Celitrim; Levey, Ontario Wood; Sandalyeci; Shaw Contract; and Upper Canada Forest Products, welcomes pioneering and accomplished keynotes to the Keilhauer sponsored Keynote Theatre. On day one, attendees will be treated to talks by New York-based Canadian designer Karim Rashid, who will talk about the future of design; blind architect Chris Downey who will speak on universal design and designing for blind or visually impaired; and Irish architect Róisín Heneghan will share her thoughts on the spectacle of architecture and museums. The following day, Paul Scialla, the founder of Delos and the International WELL Building Standard will talk about the Standard; Dutch designer Petra Blaisse, will share her thoughts on exhibition, landscape and installation design; French designer Christophe Pillet shares his philosophy on expression and seeking simplicity in design; and Madrid-based architect Edgar Gonzalez will talk about the global work and influence of Spanish architects. IIDEXCanada places a strong emphasis on its education and professional development opportunities. This year’s National Summits on Big Issues program is all about changing the way the industry thinks about design. This year the summits cover issues such as Passive House, the internationally recognized and science-backed construction standard on high building performance; Women in Design, which tackles the very timely issue of women in positions of leadership and fostering environments to see women fill more senior roles; Senior Living, strategies on designing for one of the fastest growing demographics; Wellness, which focuses on the strength of collaboration in design to foster healthier indoor environments; and Accessibility, which touches on the marriage between accessibility focused legislation and all areas of design that can be augmented to be more inclusive. Over the two days, attendees have the opportunity to meet with IIDEXCanada’s more than 500 exhibitors showcasing new and innovative architectural, commercial interiors, healthcare design, landscape, lighting, materials, technology, senior living and surfaces, tile and stone solutions, and more. This year’s conference program includes more than 100 seminars and tours in the North buildings focusing on all areas of design, architecture, building systems, business development and more that will inform designers and architects on working towards a better built environment. New to the Show floor this year is the main special feature, Totally Tubular. The exhibit, design by IA, Interior Architects, houses innovative and award-winning products by globally acclaimed design firms. The Passive House Pavilion introduces attendees to this internationally recognized building standard, firms working in this space and technologies. IIDEXTV at the Innovators Pavilion will profile notable and award-winning Canadian projects. The Spanish Pavilion sheds light on the work of Spanish architects’ contributions to global design. The LightCanada Expo includes an expanded focus on lighting companies, education and tours. 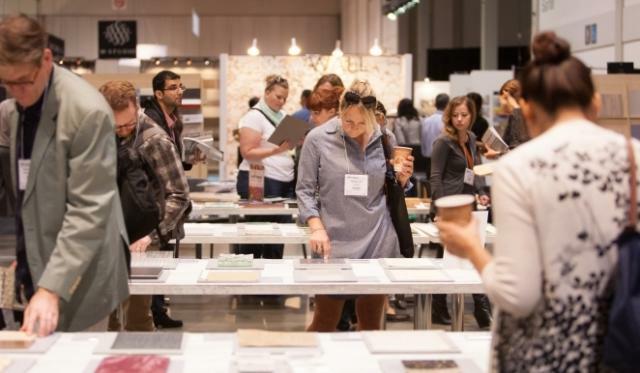 The fourth annual IIDEX Woodshop returns with 18 innovative, ash wood prototypes from designers at all stages of their careers. THINK:Material is home to new and innovative materials from around the globe. IIDEXCanada is also home to the 19th annual Canadian Interiors’ Best of Canada Awards, and the Canadian Architect Awards of Excellence awards ceremony taking place on the Keilhauer Keynote Theatre. Attendees can also learn about the winner of the Smelling Colours contest. The IDC/IIDA Leaders Breakfast Toronto takes place on day one of IIDEXCanada. Wed, Nov. 30: 9 a.m. to 7 p.m.
Thu, Dec. 1: 9 a.m. to 6 p.m. Registration is free for all industry trade professionals until November 17, 2016.